Average veterinary/animal health costs on dairy farms were 1.16c/L in 2014 (€60 per cow, 5% of total costs), according to Teagasc. It says controlling veterinary costs is not about simply cutting costs; it can also be about ensuring that you are getting a good return on your investment in animal health. Small changes may yield big returns, Teagasc says. 1. Firstly, you must spend money on protecting and maintaining the health of your dairy herd. A really useful first step would be to consult with your veterinary surgeon so as to develop an animal health plan for your farm. 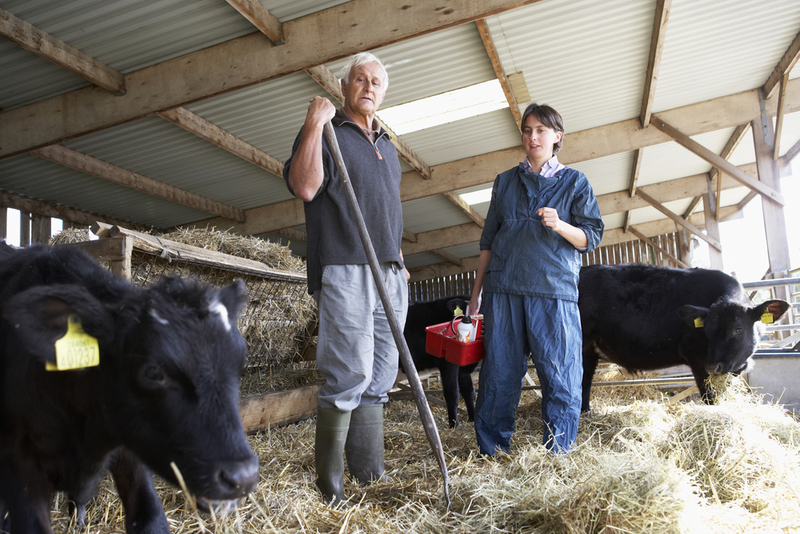 Can you work with your veterinary surgeon to improve your herd performance? Prevention will always be better than cure. What are you doing to reduce the risk of a disease outbreak or an animal health issue on your dairy farm that requires costly treatment? 2. Apart from the annual cost associated with veterinary/animal health, disease/poor health can reduce animal/farm performance, thereby reducing your output and receipts. For example, reducing SCC from 200,000-300,000 cells/ml to <100,000 cells/ml could increase milk solids delivered by almost 1,000kg per year from a 40- hectare dairy farm. Recording herd health status – including bulk milk sampling and other tests. Biosecurity – keeping infectious diseases out and reducing infectious disease threats within the farm. Vaccination – it is important that vaccines are administered correctly; cows should get all, but only necessary, vaccinations. 4. Savings can be made by challenging the cost of products, the number of treatments and the cost of various services. Knowing what the disease challenges on your farm are, and the health status of your animals, helps in this regard. As with other costs, all costs must be justified for your farm. 5. By having an idea of your main veterinary supplies needed for 2015 (list of all vaccines, doses, etc. ), you may be able to get a better deal from your supplier (an example of bulk purchasing). 6. In the longer term, can you breed a more robust type of cow that has lower veterinary ‘running costs’? 7. In summary, you can either reduce costs or get better value for the same costs. Both are a ‘win’ for you. This can be achieved by seeking the best advice, planning, taking action and monitoring.